With Harvey, Irma, Jose, and Maria all having affected the Atlantic and its inhabitants within the last few weeks, the 2017 Hurricane Season has felt more unforgiving than ever. 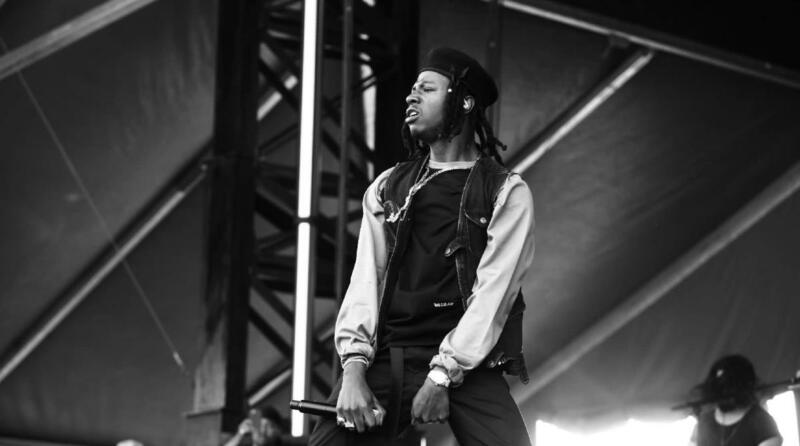 Celebrities from Beyoncé and Bun B to Kevin Hart and DJ Khaled have come forward to offer aid and assistance, and now Joey Bada$$ and Pro Era are doing the same. The rapper took to social media yesterday to announce the collective's Storm of Support drive. Going down in two Brooklyn locations—East River State Park and Fort Greene Park—this Saturday afternoon (September 23), donations will allow admittance to a "thank you party" afterward at Brooklyn Borough Hall. This Saturday I will be hosting a drive for hurricane victims in Brooklyn. We will be making two stops picking up donations and supplies before ending at Borough Hall where we will have a thank you party hosted by PRO ERA and special guests. NYC I look forward to showing our brother and sister cities how we can come together in support of them. All we need is love and unity. Much love, see ya Saturday! Bada$$ spoke to REVOLT TV at New York's Meadows Festival last weekend about his forthcoming effort where he said, "I definitely plan on doing my part and helping the people who's affected by the recent events." He also detailed how the natural disasters have affected his family.